Wages • Mandatory unpaid days off amount to $34M in pay cuts for 11,000 employees. About 11,000 Hill Air Force Base civilian employees will be furloughed up to 11 days between now and Sept. 21 at an estimated 20 percent reduction in pay during that period and a total loss of $34 million in wages and salary. "The Department of Defense has made it clear this was a difficult decision, but an unavoidable result of the $37 billion cut in defense spending triggered by sequestration," Col. Kathryn Kolbe, commander of the 75th Air Base Wing, said in a statement Monday. The impacts will be felt across the base because civilian employees comprise about two-thirds of the workforce, she said. The furlough days are expected to be Fridays through the period, causing mostly civilian-populated units to reduce a considerable amount of base operations. One exception is the base commissary, which will be closed on Mondays as it will be on other bases. Kolbe said the base will work with its community partners to sustain core missions and provide the cost-effective military readiness it needs. But as recently as July 1, U.S. Rep. 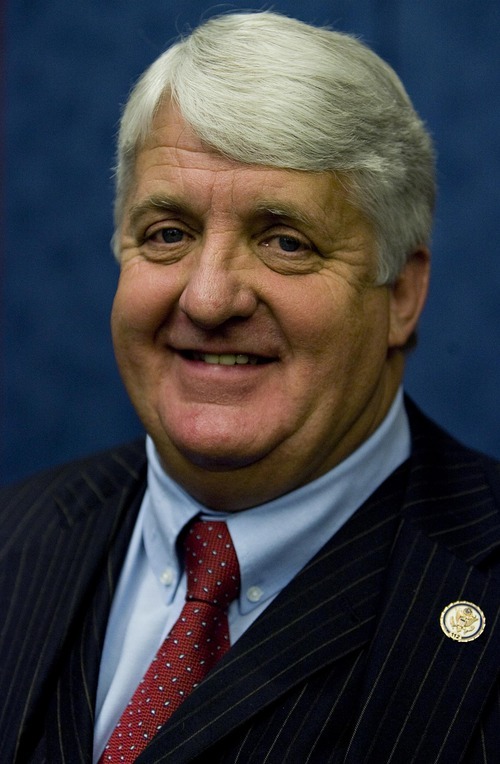 Rob Bishop, R-Utah, and House colleagues wrote a letter asking Secretary of Defense Chuck Hagel to reconsider the DOD&apos;s decision to furlough civilian workers who are paid by the self-sustaining Defense Working Capital fund. If the DOD views employees at working capital fund depots ­ including the Ogden Air Logistics Complex as indirectly funded defense workers, "then it appears that they should be exempt from sequestration," the letter said. Bishop also argued that decreasing the time workers are on the job "delays the products getting back to the warfighter and will ultimately increase overall costs." In a letter dated July 5, the DOD countered that it faced "a budget cut of $37 billion caused by sequestration in addition to shortfalls in wartime funding." The department added that furloughs of civilians employed in working capital fund activities "are legal and result in personnel cost savings." On Monday, Bishop said the DOD made a political decision when it decided to spread cuts "across everybody … it&apos;s as much a political decision as anything. There was a way of avoiding this if they really wanted to."